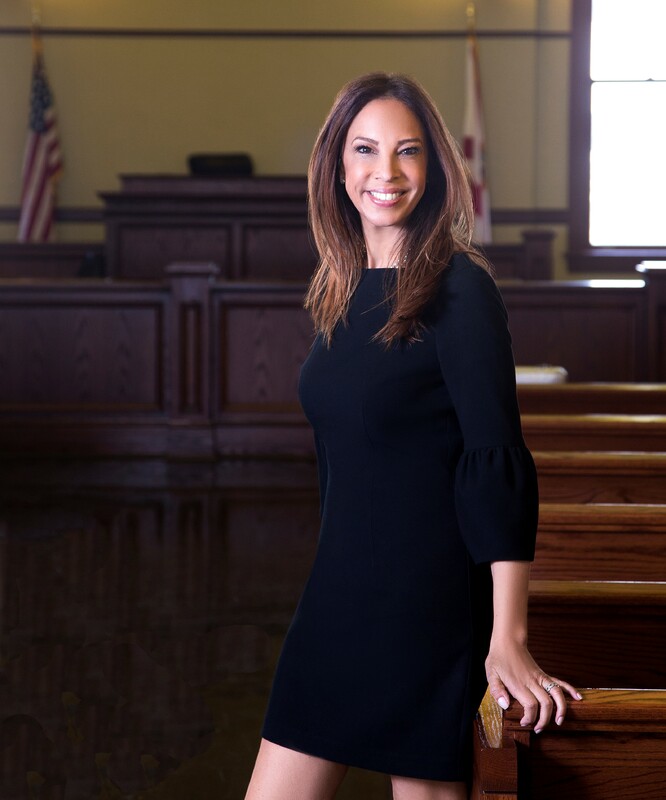 Criminal defense attorney Michelle Suskauer is The Florida Bar’s 70th President, and just four months into her term, she’s already making a positive impact on the state’s legal profession and the 106,000 Florida attorneys from the Keys through the Panhandle. We sat down with Michelle, a partner at Dimond Kaplan & Rothstein and mother of two, to discuss her work as president, the Florida Bar’s newly launched LegalFuel resource center, and how she balances work and family life. Since your inauguration as The Florida Bar President in June, you’ve hit the ground running. Can you talk about your key priorities for your term and what we can expect to see next? It’s been an exciting past few months, and we’re dedicated to bringing our members and our community together, while also providing great resources and support for attorneys. One of our earliest area of focus has been small firm and solo practitioners who are the backbone of The Florida Bar, making up an estimated 76 percent of our membership. I am working tirelessly with my team to create more ways to support their businesses by helping them become more productive and profitable. This summer, we launched LegalFuel: Practice Resource Center of The Florida Bar, which provides tools for better managing the business of running a law firm, while lessening some of those daily pressures we face every day. I’m also concentrating on common-sense criminal justice reform, which is very important to me as a criminal defense attorney and former public defender. For the first-time, The Florida Bar hosted a Criminal Justice Summit last month, which brought together leaders including judges, elected state attorneys, legislators, advocates and more to collaborate and discuss opportunities and challenges within the system. There’s more work to be done, but those conversations were invaluable. Another area I’m focusing heavily on is the issue of gender bias. We’re making headway in Florida as we have the largest number of women serving on The Florida Bar Board of Governors this year and 52 percent of my appointments to Bar committee leadership positions were women. Florida also has the largest percentage of women on the bench than ever before. But the fact is, there is still so much work to be done. Woman are leaving the profession at faster rates, and from surveying our lawyers, we know that a disturbing percentage of women have experienced gender bias during their legal career. That’s why I’m dedicated to, as The Bar’s sixth female president, ensuring women rise in the ranks and feel supported in the profession by continuing to spread awareness of our grievance process, and by implementing a Blue Ribbon Designation that will recognize firms committed to gender diversity through hiring, promotion and retention. We’d like to hear more about LegalFuel, and how it’s helping small firms and solo practitioners. Why is this so important to you, and what can The Bar’s members expect? As a longtime small firm practitioner, I understand the daily struggles that come along with balancing work, managing a business from top to bottom, and keeping the lights on. LegalFuel bridges the gap between business and law, serving as a toolkit packed with useful information on how to be a small firm attorney or solo practitioner in the real world. It offers everything from new firm startup tips, how to grow your business, to plenty of marketing and technology information, and even free CLEs. One highlight of LegalFuel is the Speaker Series. It’s an ongoing series that features well-known and respected leaders from our legal community who represent a wide spectrum of expertise and practice areas. These videos breakdown a range of topics from technology to work-life balance and social media marketing. The Florida Bar has spent a lot of time on the topic of mental health over the past two years. Is that something that will continue as a priority during your term? Absolutely. As attorneys, we work in a high-stress profession and our personal well-being often takes a back seat to the other demands in our lives. We are tethered to our electronic devices, which keep us connected 24/7 and makes it difficult to detach and decompress. This affects us all, from the solo practitioner, to in-house counsel, to managing partners. The Bar is currently developing programs to help attorneys, whether it’s wellness apps, well-being coaches, virtual counselors, free Bar CLEs, and a possible mental health crisis hotline. Ultimately, a functioning justice system depends on functioning attorneys. When you’re not leading the way at The Florida Bar or practicing law, what do you like to do to de-stress and relax? I am always on the move between client work and managing my Bar responsibilities. But, I’ve also made a promise to myself to always focus on the things that bring me joy and relaxation outside of my work. For example, I’ve always had a passion for the arts, and that love has been extended to my two daughters. I enjoy visiting them and watching their musical theatre performances. I also love baking for my family and for my friends within my community. If you can sum up your goal for your presidential term in one sentence, what would it be? If I can help come up with some solutions to make people’s lives just a tiny bit better, and leave my community in a better place than when I found it, then I’ll know I’ve accomplished something.